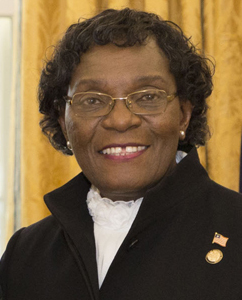 Who is the President of Liberia? 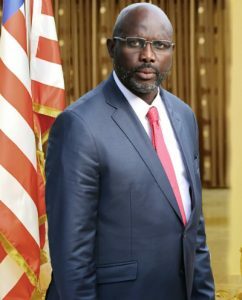 His Excellency George M. Weah was inaugurated on January 22, 2016 as the President of the Republic of Liberia. What is the structure of the government? It is a Republic and has a constitutionally formed government with three coordinated branches: the Executive, the Judiciary and the Legislative. The Chief of State and Head of Government is the President. There is a Vice President. Liberia has a bicameral National Assembly consisting of the Senate with 30 seats and the House of Representatives with 64 seats. How are officials elected in Liberia? The President and Vice President are elected by popular vote to serve 6-year terms. In the Senate, 15 members are elected by popular vote to serve 9-year terms and 15 members are elected by popular vote to serve 6-year terms. In the House of Representatives 64 members are elected by popular vote to serve 6-year terms. 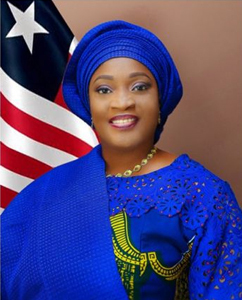 Two Senators are elected from each of Liberia’s 15 counties. The senatorial candidates receiving the highest number of votes in each of the 15 counties shall be considered Senior Senators and shall have a term of office of 9 years. The senatorial candidates with the next highest number of votes in each county shall be considered Junior Senators and shall have a term of office of 6 years. Is Liberia a member of any international entities? 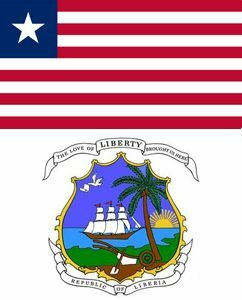 Liberia was a founding member of the League of Nations and is a charter member of the United Nations (UN), the Non-Aligned Movement, the African Union (AU), Economic Community of West African States (ECOWAS), and the Mano River Union (MRU). In general, what is Liberia’s foreign policy? 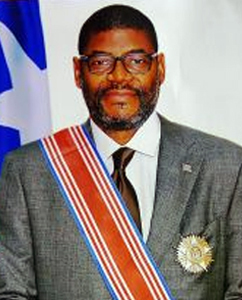 Recognizing that foreign policy is by and large contingent on internal economic structures and the external debt-serving capacity of a nation, the Government of Liberia encourages direct foreign investment in the country and is supportive of donor countries by guaranteeing maximum security, human rights, a free enterprise system, international norms and rule of law. Does Liberia have a constitution? Yes; the most recent Constitution was adopted in 1986.